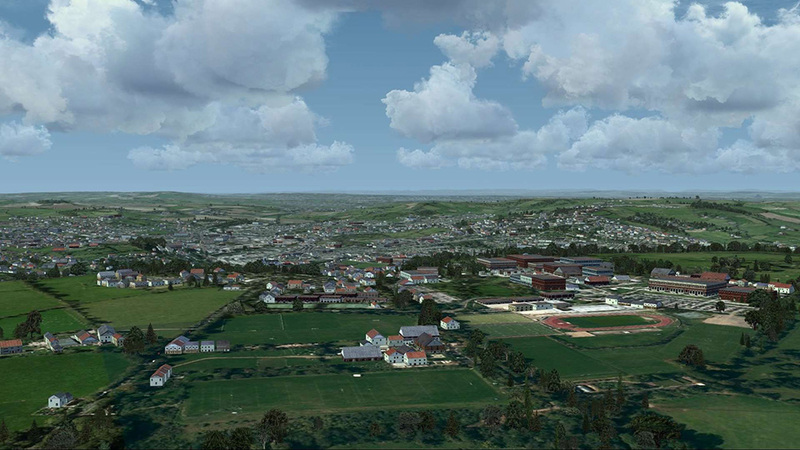 Revolution-X uses ground-breaking new technological processes to inject a comprehensive Autogen layer into FSX, placing millions of houses, buildings, churches, trees and hedgerows in their real-world locations across England, Scotland and Wales. 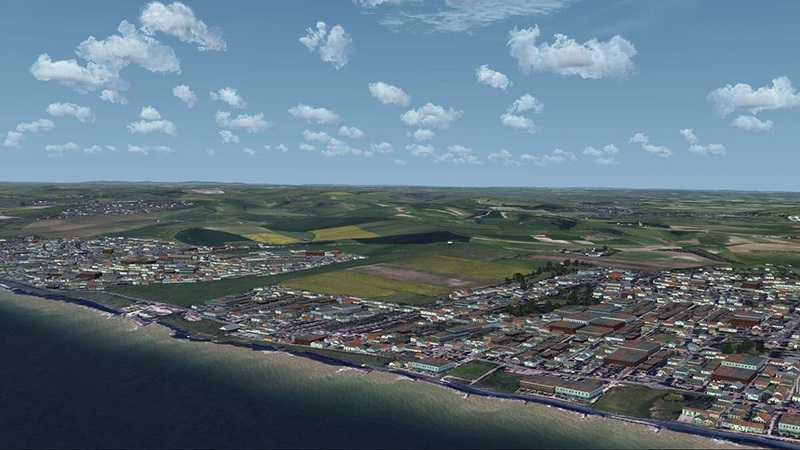 So, for the first time in FSX, every village, town and city is fully formed with its real-life streets and estates, and woods and hedgerows tracing the edges of real-life fields and the contours of the land. Revolution-X also includes its own 3D Night Lighting system, developed from scratch using a revolutionary new design technique for optimised performance which provides breathtaking illumination effects across the whole terrain. For the first time, sequenced traffic lights change from red to amber to green at junctions and roundabouts, and millions of 3D light objects appear, not only along major roads but also mapped to individual houses and buildings, wherever they may be. 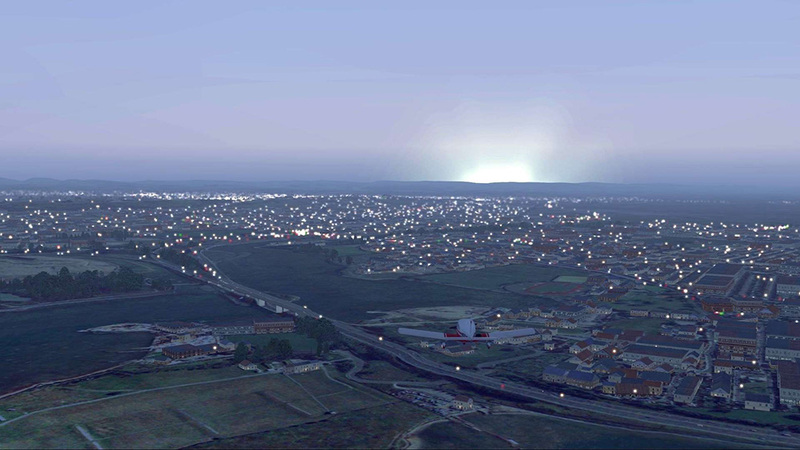 On the horizon, cities, towns, and villages sparkle into view with hundreds of lamps and streetlights. 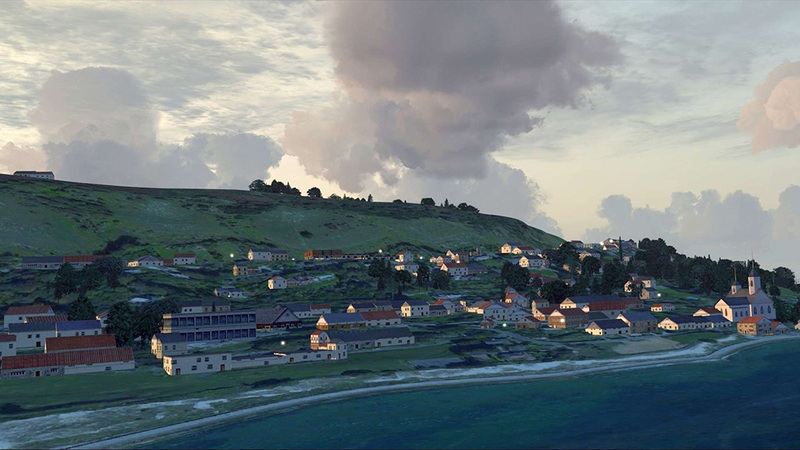 Along the coast, and deep in the countryside, the outdoor lamps of isolated farm houses and hilltop cottages twinkle through the trees as you pass overhead, all rendered in a variety of shades to reproduce the many different types of fluorescent and electric lights in the real world. 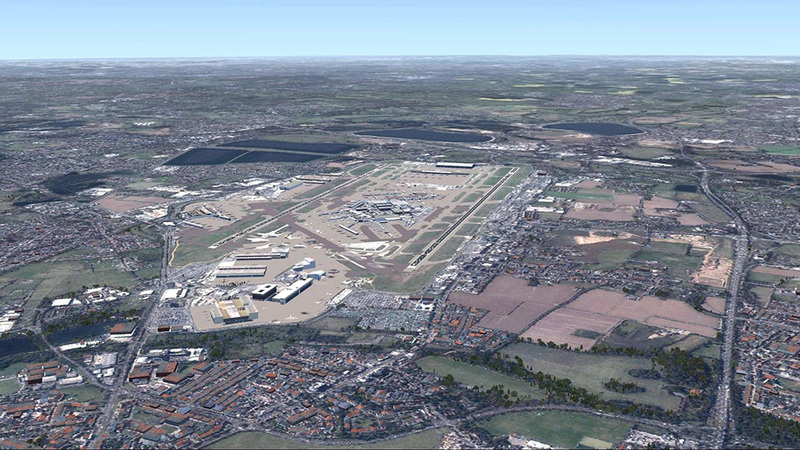 Revolution-X should also work alongside other scenery add-ons (when those are given a higher scenery priority within the FSX settings) so you should not lose any of your additional airport and area add-ons that you may have installed. 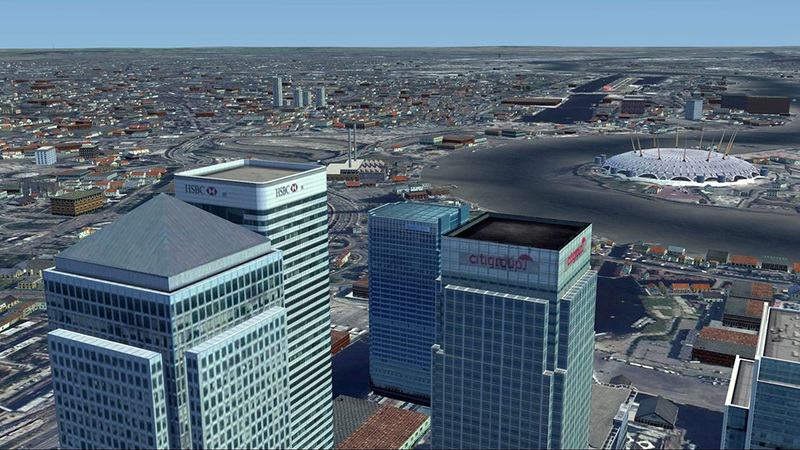 All of the default original non-autogen FSX objects such as Canary Wharf, Houses of Parliament and so forth in London and in other locations will still be visible alongside the millions of generic houses and buildings that Revolution-X places. Until now, the major commercial scenery products available for the UK have been based on one of two distinct technologies: Photo-scenery, or Landclass scenery. Both have their limitations. 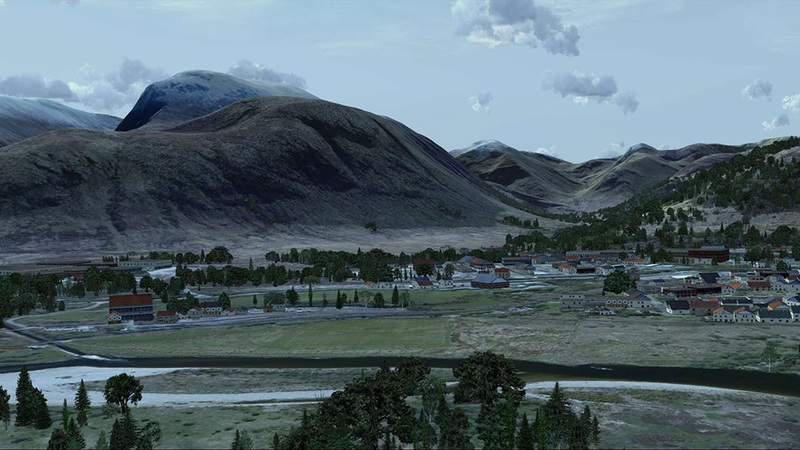 Photo scenery uses the same principle as Google Earth, projecting aerial photography onto the slopes and gradients of the FSX terrain mesh. 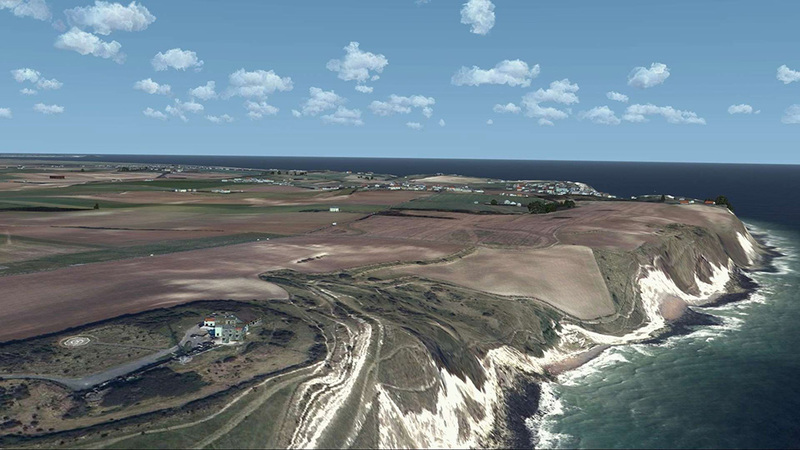 While impressive when flown over at altitude, unfortunately without additional 3D objects (houses, trees and buildings) this results in a flattened and somewhat featureless landscape when flying at low VFR altitudes, where the illusion of depth that a photograph can provide is lost. On the other hand, Landclass scenery divides the terrain up into a grid of 1km squares. Each grid square is assigned a Landclass type (e.g. city, woodland, farmland, etc.). For each Landclass type, a corresponding grid square design is created, which allows for the placement of 3D objects (houses, trees, buildings) onto a corresponding terrain image. Unfortunately, there are a limited number of types to choose from, and so the same generic squares and images are repeated over and over again, resulting in a 'checkerboard' effect. By definition this approach can only ever produce a loose approximation of the real world, and even skilfully designed Landclass scenery can sometimes still result in a less than realistic appearance. For the first time on such a large scale, Revolution-X employs a totally new design concept to combine the best of both worlds - a fully comprehensive layer of accurately placed 3D Autogen objects in conjunction with your existing photo-real imagery within FSX. Developed using many gigabytes of the best GIS data available for the UK, time has been taken to fine-tune specialised programmatic algorithms in order to achieve both optimum realism and performance, and the coverage of Revolution-X is as complete and accurate as it can possibly be. 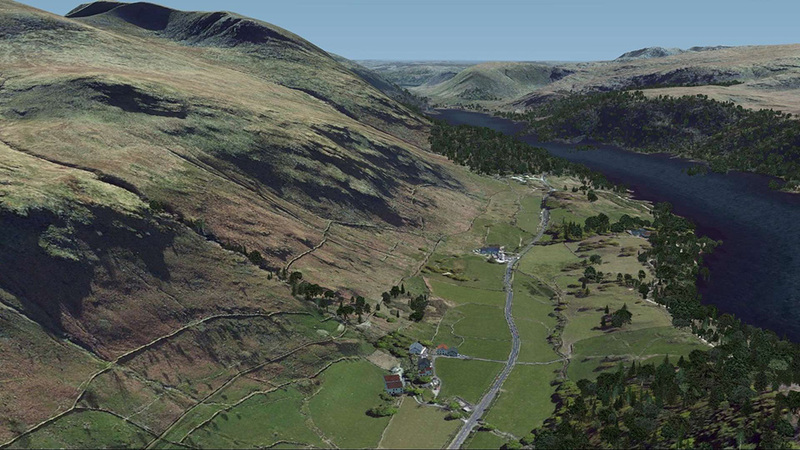 Bringing together the best geographical information systems data ever produced for the UK, including the vast datasets from Ordnance Survey and the Forestry Commission, the precise co-ordinates of millions of real-world objects have been extracted, combined, and painstakingly re-engineered to be employed in FSX. 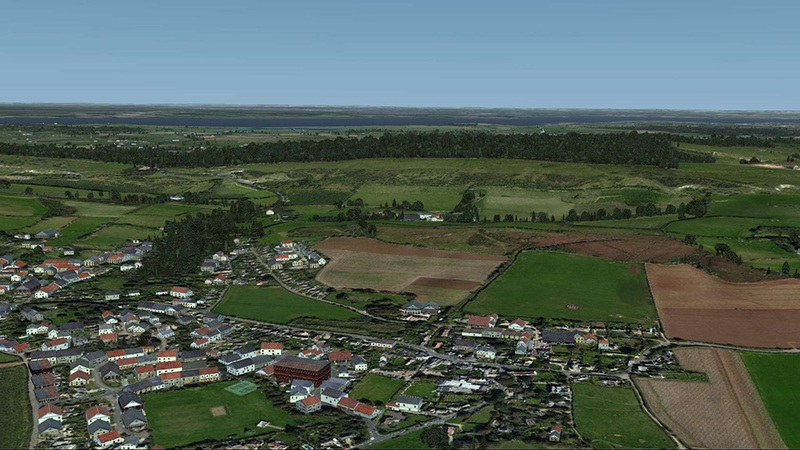 Houses, buildings, churches, trees and hedgerows in the whole of the UK have all been mapped onto aerial terrain imagery, and are displayed in-location within the FSX environment. Note that at the top 110 major airports, airfields and military airports, special care has been taken to tailor the placement of real world objects around the runways and taxiways to ensure the best overall enhancement. 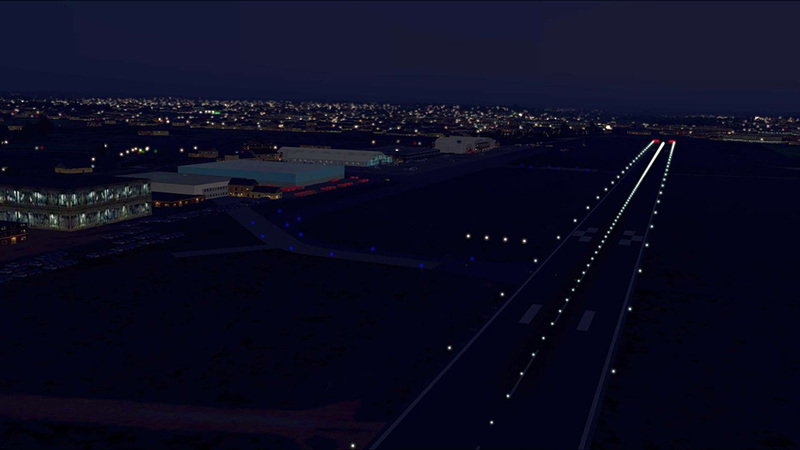 The revolutionary new 3D Night Lighting system provides breath-taking illumination effects across the whole terrain. 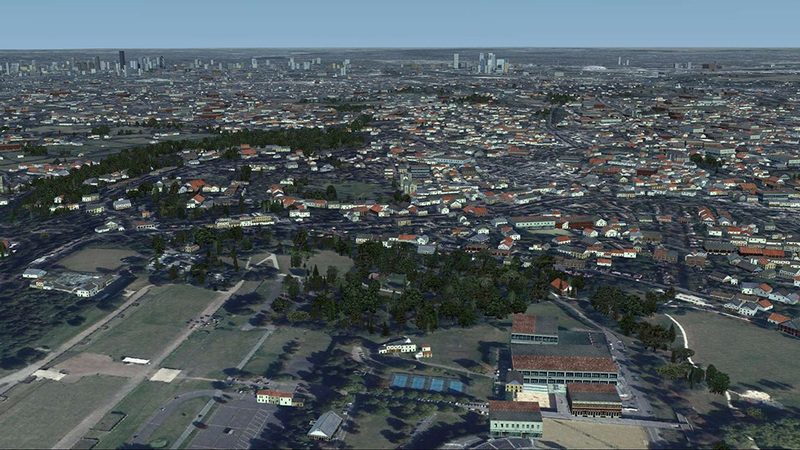 Millions of 3D light objects are displayed, not only along major roads, but also mapped to individual houses and buildings, wherever they may be. On the horizon, cities, towns and villages sparkle into view with hundreds of lamps and streetlights coming alive. Along the coast, and deep in the countryside, the outdoor lamps of isolated farm houses and hilltop cottages twinkle through the trees as you pass overhead. At junctions and roundabouts, sequenced traffic lights change from red to amber to green. The result is a complete, authentic and as-realistic-as-possible recreation of England, Scotland and Wales at any time of day or night, and at any altitude from ground-level up. 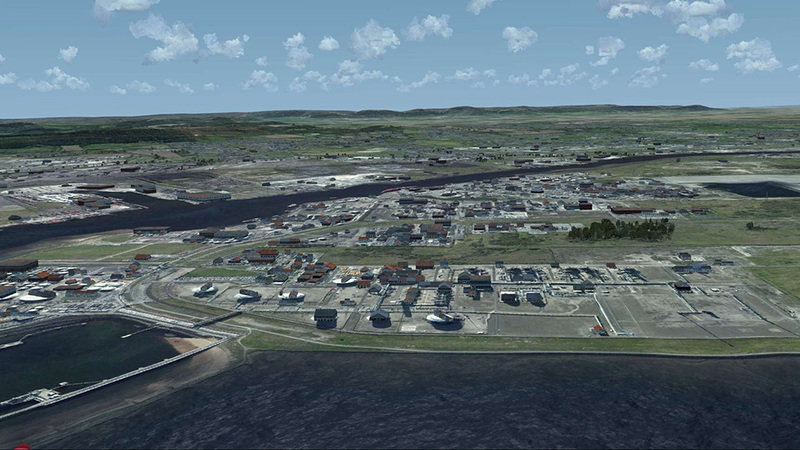 When used in conjunction with photo-scenery add-ons we believe this combination provides the most realistic and immersive FSX add-on ever produced for the UK. Weiterführende Links zu "Revolution X"